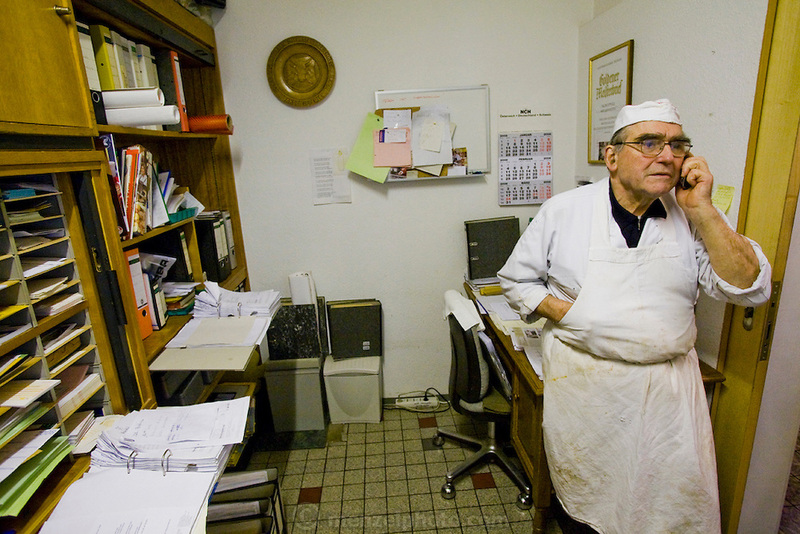 Marcus Dirr's father Peter Dirr, also a master butcher, speaks on the phone at his son Marcus Dirr's shop in Endingen, near Freiburg im Breisgau, Germany. (Marcus Dirr is featured in the book What I Eat: Around the World in 80 Diets.) MODEL RELEASED.